Apple has included the ability to open Word and Excel documents directly in the operating system, so you can read those mail attachments without purchasing any software. Apple’s own iWork suite is a gorgeous alternative to Microsoft Office, and you can purchase the package for just $60 (or $20 per application). But iWork can’t do everything. For example, when I write a court pleading, there’s no feature to number the lines in a Pages document. Nor can I insert cross-reference footnotes or use Visual Basic scripting (VBA). When importing Word documents into Pages, formatting can be lost (such as text field borders). Thus, when it comes to Office documents, sometimes you just want the real thing. Luckily, you don’t have to spend any money to have an office suite with incredible Microsoft Office compatibility. There are at least three free alternatives to look at, and they are all based on OpenOffice, a massive, open-source office suite that began at Sun and is now owned by Oracle. These applications are not available on the Mac App Store, so you must download them from their websites. You must have Java installed to run OpenOffice, and for Lion users, Software Update will open and install Java the first time you open OpenOffice, if you don’t already have Java installed. Because the applications rely on Java, they don’t look quite as Mac-like as Microsoft Office or iWork does. But at $0, the price certainly is right, and the feature set is incredible. OpenOffice runs on Mac OS X, Windows, Linux, and Solaris, meaning there are millions of users across several platforms. OpenOffice on the Mac is officially supported on Intel only, but PowerPC builds typically are available for download a few days or weeks after official Intel releases. OpenOffice’s Writer opens complex Word documents with ease and supports features not available in other word processing apps for the Mac. OpenOffice can read and create nearly any office document you can think of: word processing documents, spreadsheets, presentations, drawings, databases, and formula calculations. Microsoft only offers word processing, spreadsheets, and presentations for Mac users, leaving out the popular Access database. However, OpenOffice does not offer an email client, so there is no direct integration with Outlook servers. 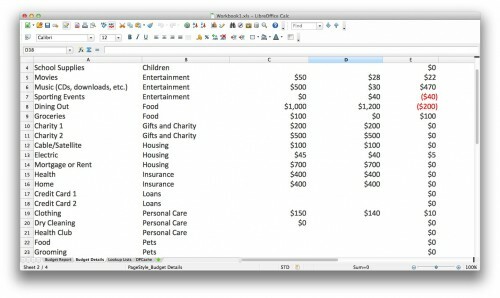 NeoOffice is a Mac-only offshoot of OpenOffice. Through version 3.1, NeoOffice was completely free. You can still download this version, which works on both PowerPC and Intel platforms going back to Mac OS X 10.4 Tiger. 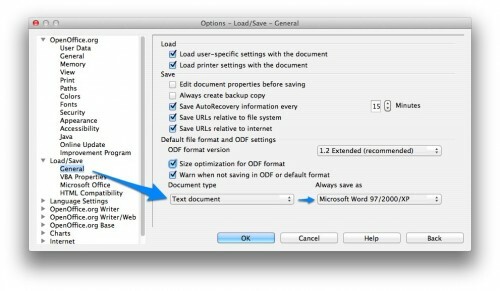 Starting with NeoOffice 3.2, however, the releases are for Intel only, and they support Lion specific features, such as versions, resume, and full-screen mode. 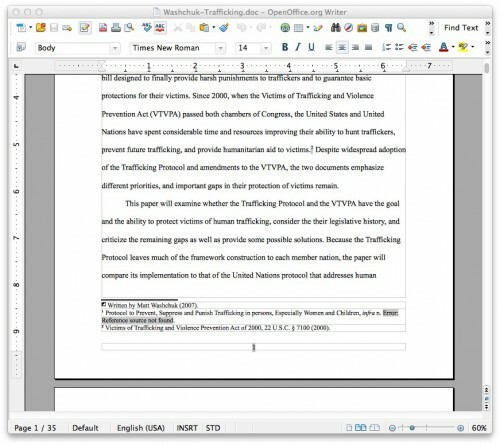 NeoOffice also has Mac-native text highlighting (not the Java equivalent), support for native Mac widgets, and other native Mac support that is missing from OpenOffice. However, to get the current version of NeoOffice, you must make at least a $10 donation on the NeoOffice website. NeoOffice has been around since 2003, so this isn’t some fly-by-night group of developers. They have long been committed to bring the best experience of OpenOffice to the Mac. If you try OpenOffice but decide you want a suite that has a few more Mac features, be sure to give NeoOffice a try. 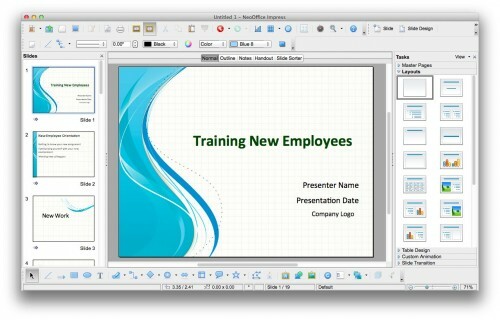 A look at NeoOffice’s presentation editor. This is a PowerPoint document. LibreOffice is another OpenOffice offshoot, and it looks nearly identical to OpenOffice. While relatively immature on the Mac at this point, it is noted to be faster than OpenOffice when performing some tasks. The future of open source development of the OpenOffice code is likely to be found in LibreOffice, so you may see LibreOffice turn into the most mature (and perhaps most Mac-like) of the OpenOffice suites within the next year or two. For now, it provides a reasonable alternative to OpenOffice, and at $0, it’s worth a download. Viewing an Excel spreadsheet in LibreOffice. From the OpenOffice/NeoOffice/LibreOffice menu (next to the Apple menu), select Preferences. Click the Load/Save triangle in the Preferences window to open the Load/Save subsections and then select General. At the bottom of the window, you should see two pop-up menus, one for Document type and one for Always save as. These are the two menus that let you select the default file format for each document type the suite has. So, if you select “Text Document” from the first pop-up menu, you can then select “Microsoft Word 97/2000/XP” from the second pop-up menu, so that OpenOffice will save text documents in the Word format by default. You can repeat this for spreadsheet documents and presentation documents (but not database documents). That’s it! What do you think about these office suites? Have you used any free (or paid) alternatives that you like? Share your thoughts in the comments section.